College Application Deadlines! Procrastination Strikes! "Seriously, baby, I can prescribe anything!" So today is another one of those days. One of those dreaded deadline days. A big pile of schools and their January 15th deadlines celebrate the end of another college application cycle this afternoon at 5pm. It is what it is. Time marches on. Hope you wrote the essays you had to (and no more!) and they were better than you could have ever dreamed. But what if they weren't? What if procrastination reared its ugly head and delivered the fatal stink bomb of slapped-together awfulness that kills so many college essays to your essay? What now? 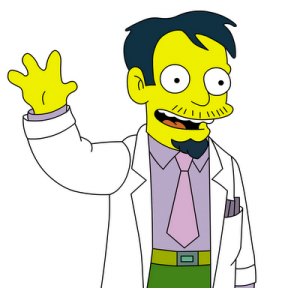 Well, take it from Dr. Nick - there's always Hollywood Upstairs Medical College. But in all honesty this post is about letting go of those worries. We at CEO recognize the stress that goes into the application process and the problems applying to a large number of schools has created. So today's the day to let it all roll off your back and remember that what's done is done. The apps are out the door, so it's time to recognize that it's out of your hands and hope for the best. The admissions process is a long and involved one, but it's worth it to celebrate your accomplishments from time to time and to recognize the value of the hard work that goes into it. You're making an effort to improve yourself and present yourself as capable of great things, and all that effort pays off in one way or another. Onward and upward! Posted in News | Comments Off on College Application Deadlines! 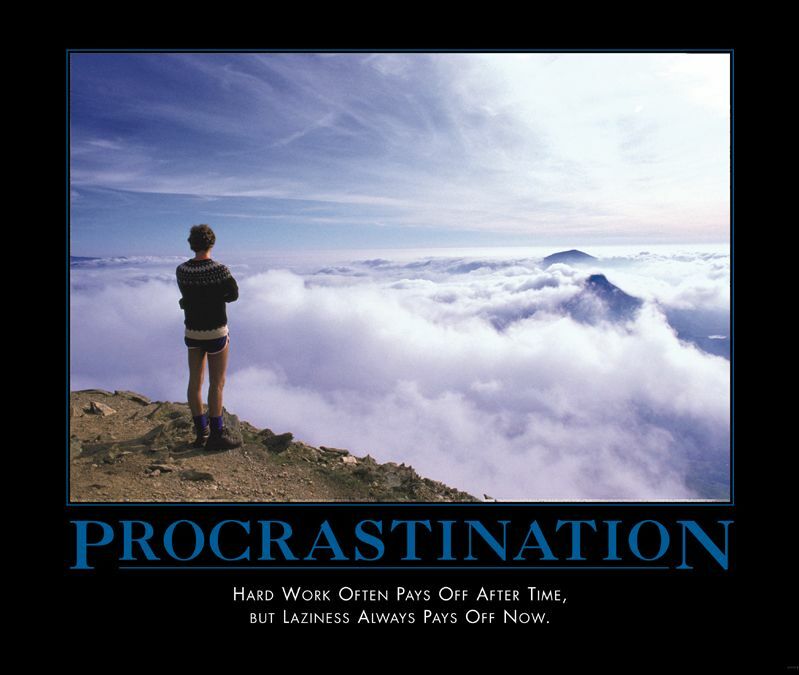 Procrastination Strikes! I don't mean to brag, but... 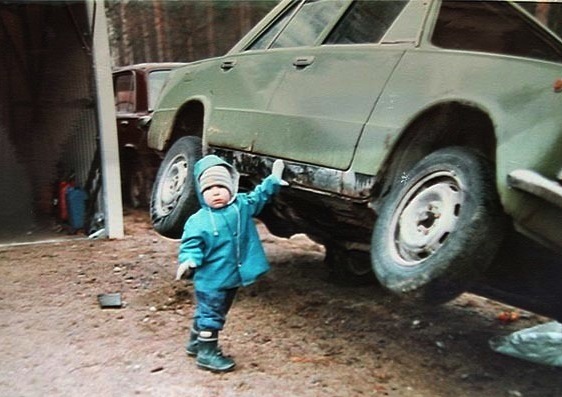 I was an incredibly strong baby. One of the potential stumbling blocks many students face when writing personal statements or other pieces about their accomplishments is in navigating the fine line between self-promotion and bragging. We've seen "I don't want to brag, but..." in a startling number of essays. That part shouldn't be a problem. Here's a tip if you're including that line: don't. 1. Try to state what you've achieved, not what others have failed at. When you're trying to avoid bragging, remember context. The context you put your accomplishments in will make the difference between stating your achievements and just kicking dirt in your opponents' faces. 2. Talk about your decisions, and why they were unique. By discussing the things that were right, you imply options, and in the process, you articulate things that others have done and gotten wrong, without denigrating them or seeming like a sore winner. 3. Discuss how you expect to improve even further. This doesn't mean talking about what you did wrong, or even what you'd like to change about your past actions or accomplishments. Simply discuss in specific terms how you see a new level of development that was never available to you before, but that after all your hard work, you belong there. You should be proud of all you've set out to achieve, and talking about what you are capable of rather than others' shortcomings is a huge boon to your writing. Make the most of it. College Essay Advice: How To Write About An Extra-Curricular? 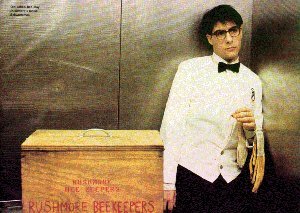 The Rushmore Beekeepers. I'm a member, but also its founder. The New York Times' lovely blog, The Choice, has recently done a couple of posts that don't seem to be intentionally linked but have an interesting relationship regarding an important question many have asked about their college essays. What's worth writing about when it comes to extra-curricular activities? Is it worth it to spend your time discussing something that's already on your resume? And is it a no-brainer to write about the most remarkable one on the list? Should we always write about the thing we've stretched furthest and hardest to do? Extra-curriculars are the worst victim of resume padding there is. They tend to be easy to add (or even make up), and every school has several that require little or no work most of the time. But we generally know even before we're asked which ones are important to us. We know which ones were added because we love them - the ones we'd be happy to do without even being credited for it - and those that were asked just to look good on paper. What you're perhaps less likely to believe is that the person reading your essay can tell, too. Even if he or she hasn't met you. And it's not because the activity is rare or sounds fake, but that a lack of passion will almost invariably be revealed in an essay. What's most important when choosing what to write about is not whether it seems the most exceptional, or seems like it took the most amount or work, or even the one that needs the most explaining. It's the one you can write about in an excited, engaging, and specific way. When you find these topics, you're golden, because you will be able to articulate what it is that fills you with that excitement, and only then will the reader understand what makes you, you. Posted in College Essay Writing Tips | Comments Off on College Essay Advice: How To Write About An Extra-Curricular? College Essay Help: Call For Entries! We here at CEO would like to open up the blog to any questions you may have about the college essay or college admissions processes. In the coming weeks, we'll feature a number of posts that address questions sent in by readers - which might mean yours! Please feel free to give us an email with any question or thought you may have about any part of the process, and we'll do write-ups about them. Hit us up with an email and let us know what's on your mind - what's stressing you out, what's confusing you, or what you want to see changed in the future. Also, if there's anything you'd like to see addressed in greater depth on the blog, let us know. We're here to demystify and make the process easier for you, so if there's anything we can do better to make that happen, let us know. Posted in College Essay Writing Tips | Comments Off on College Essay Help: Call For Entries! Though many of the big admissions deadlines have come and gone, there are still a fair number of regular decision dates coming up in the next week, along with rolling dates for larger schools. Have you put yourself behind the eight ball with your powers of procrastination? Wishing you'd started this writing already? Can I say I tried to warn you? When rushing through your last-minute work, the main thing to avoid is show-stopping human error. Check for misspellings. Ensure that you are referring to the correct college if you are using its specific name. Don't let poor formatting drift into your final draft. Most importantly, don't write just to fill the page. Content is king with these things, and it's important that every sentence you choose to include be there to support the overall idea you are trying to convey about who you are and what you can do. Don't treat a one page essay as a "one page essay," treat it as an essay about "the time I went to summer camp and discovered I love the ropes course" or something specific that gives insight into your character. When there are irrelevant details crowding your essay, the reader can tell, quickly, and it makes it easy to stop paying attention, which is anathema for short-form writing like this. Remember our previous tips about the potential rewards of choosing an original concept and committing to it. Never be afraid to show off something that makes you, you unless that special something basically makes you look like a criminal. And if you are a criminal, well, remember our tips about not bragging. The proud, the beautiful, the oddly explicit. 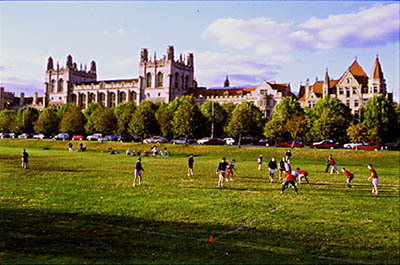 The University of Chicago. 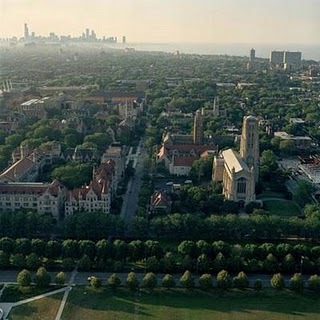 As reported by The New York Times, the dean of admissions at the University of Chicago was so smitten with an essay comparing the University to an elusive lover that he thought it would be a good idea to send it out to all of UChicago's prospective applicants. All of them. As you might imagine, this did a lot more harm than good as hundreds of already-stressed applicants found out that the essay was nothing like theirs, or at all similar to what they had planned, and immediately assumed they had done something wrong. Many began to wonder if they should toss all their hard work and start new essays altogether. It's human nature to read something you've been told is successful and want to emulate it, but don't read this sample essay - though the applicant has been accepted - as a model of what to do. Instead, think about what the essay dares to say about its author and take that as inspiration to be free and forceful in your writing. The college essay ought to be a personal, expressive piece of work, not a regurgitation of the five-paragraph model you've been taught in high school. Look at the sample essay Chicago has released and think of it not as a model but as an invitation to be bold in your writing - to commit to a style and execute it the best way you know how, rather than mimicking something or writing the way you think you're supposed to. This a prime example of how to stand out from what is an increasingly large pile of applications at the nation's top schools.